DJJS in its endeavour to spread ‘World Peace’ presented the literature “Ashutosh Maharaj: Mahayogi Ka MahaRahasya” to Chief Minister of Gujarat, Shri Vijay Rupani Ji and to Upadhyay of BJP, Sri Dinesh Sharma Ji. Preachers from Gujarat branch of DJJS, Swami Hirdyeshanand Ji and Swami Rishikeshanand Ji met the Honourable Chief Minister on Aug. 20, 2016 at Rajkot. The same title was presented to Baba Saheb Purandare by Swami Chidanand Ji from Maharashtra branch of DJJS. Baba Saheb is a literary writer, directs plays, has deep interest in History and is awarded with ''MAHARASHTRA BHUSHAN'' title by current Maharashtra Government. 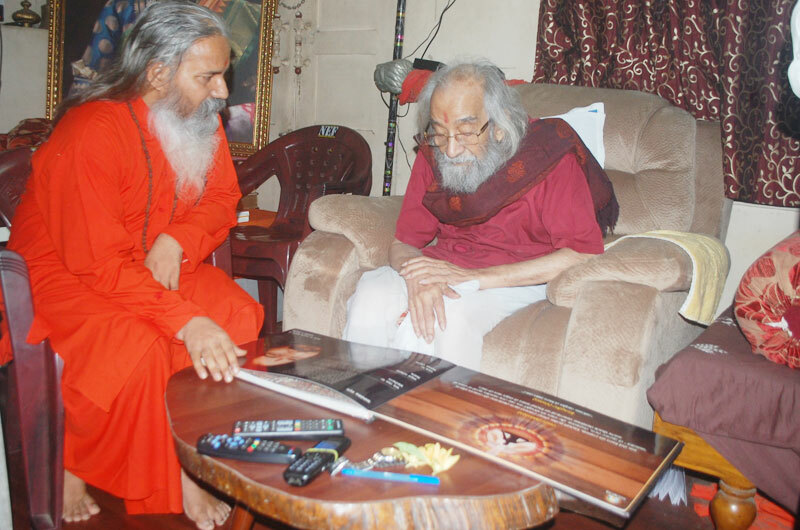 The preacher disciples of Shri Ashutosh Maharaj Ji (founder and Head of DJJS) discussed about the several on-going projects of the organization in both social and spiritual arena. The esteemed guests appreciated the selfless efforts of preachers and disciples of the organization.